The Garda Band entertained all the boys in the school with their music and song. The performance ensured that we were all entering the Christmas holidays in good spirits. Garda Band St. Joseph’s from St. Joseph's BNS on Vimeo. 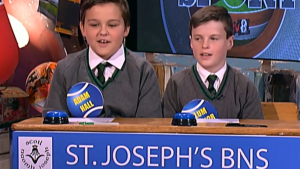 Mr. Brennan’s 5th class appeared on Elev8 on Wed. December 3rd. 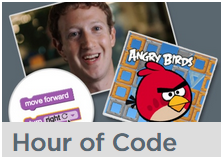 We have been coding using Scratch in St. Joseph’s for the past few weeks and we have included some examples of their projects here.We have created a car racing game and a helicopter game. We hope you enjoy them. You can also see the amount of coding required to create the games. 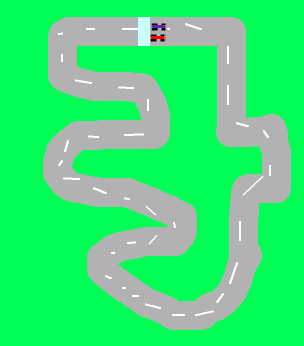 Car Racing Game by Rory M.
Helicopter Game by Conor D. and Eoin Q.